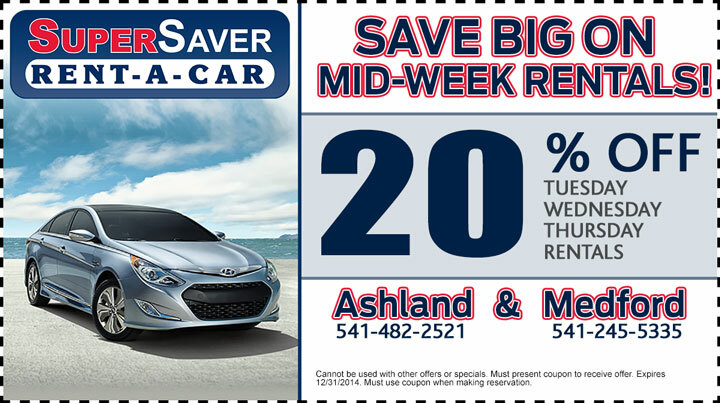 Get 20% Off a SuperSaver Rent-A-Car Vehicle 3 Days a Week! We know rental cars aren’t usually in the budget unless one’s planning a vacation but, when you need one you really need one! That’s why we’ve set aside a few days every week during which to offer lower rental car prices. Rent any Butler SuperSaver Rent-A-Car vehicle on Tuesday, Wednesday or Thursday and get 20% off! Just print this coupon and present it when picking up your car, truck or SUV. You can even check out our rental fleet and make your reservation online at supersaverrentacar.com. The offer’s good until the end of the year. See you soon!